Hypothesizing about the nature of extraterrestrial beings, or ET, always brings about some interesting debates. The one thing everyone seems to want to know is if ETs are out there, what would happened should we come in contact with them? Would they come in peace and co-exist? Or would they destroy humanity? 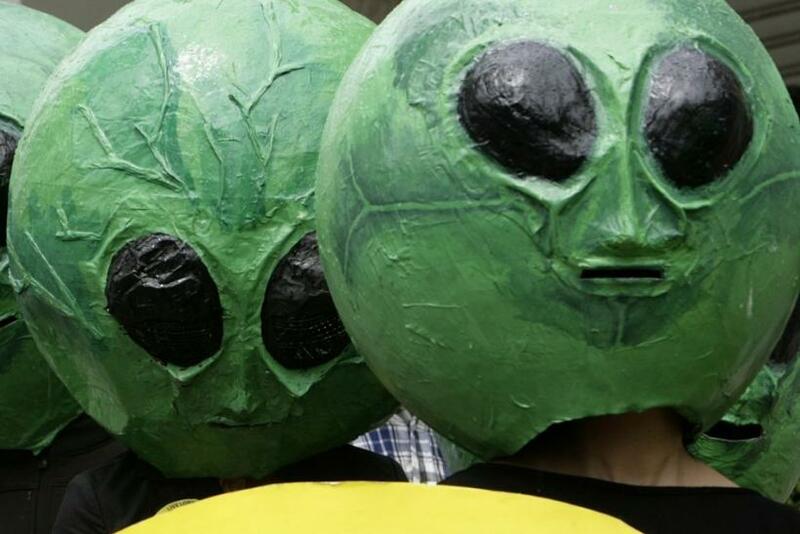 Those same questions seems to have puzzled researchers affiliated with NASA and Pennsylvania State University, who conducted a study on the topic called Would Contact with Extraterrestrials Benefit or Harm Humanity? A Scenario Analysis. Their scenario analysis, dated back in April, is published in the journal Acta Astronautica, and has drawn much media attention this week when an article published in the British media. Seth Baum, a doctoral candidate, and Jacob Haqq-Misra and Shawn Domagal-Goldman, both postdoctoral scholars, wrote the paper. According to them, ET could decide that we are a threat to interstellar order and we have to be stopped before we spread; aliens could plan to eat or enslave people on earth; and destroy life on earth if they sense civilization was expanding too rapidly and could harm others. In those cases, the authors recommended that Earthlings cautiously write messages to extraterrestrials and avoid including details of the human biology, form and structure of the DNA model. Additionally, they said human beings shouldn't give off the appearance of being a rapidly expansive civilization. If ET should see humanity in this light, then it may be inclined to attempt a preemptive strike against us so as to prevent us from growing into a threat to (them) or others in the galaxy, researchers wrote. But not all encounter with the aliens may end up in doom and gloom. In fact, the authors also wrote that an encounter with a alien could lead to it helping us with technology and to learn more about space. technologically, to push deeper into space. Domagal-Goldman, said in a blog post on Friday that while he believed contact with alien civilization was unlikely, researching the possibility was fun, according to Reuters. And while we've yet to come across aliens, the researchers said their scenario analysis serves as a step toward developing a comprehensive strategy for responding to contact with (extraterrestrials). See full text of the 33-page analysis below.